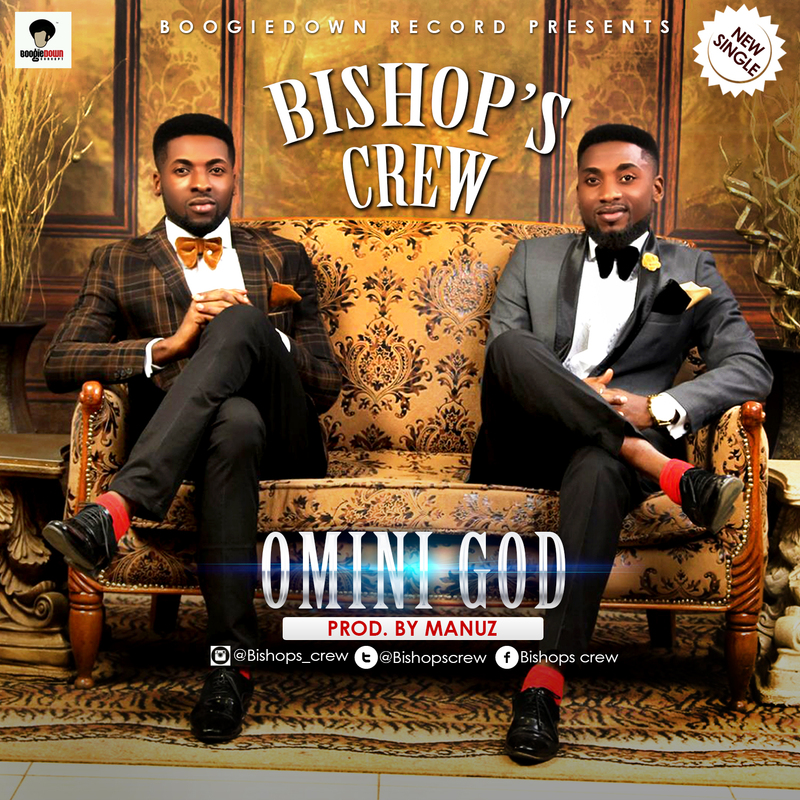 Bishop's Crew is a sensational RnB/Afro-pop gospel music group which consists of two brothers from Sapele, Delta State. They are stage-named Rytone (Oro) and Mytone (Isio). They are presently based in Abuja under Boogie Down records owned by the gospel icon musician, Samsong. After releasing their first hit single "Take Me Higher" produced by hit beat maker Samklef, they went for a tour in Europe for a while. They are back to blow your minds with a new hit song titled "Omini God" produced by an Abuja-based multi-talented producer, Manuz. "Omini God" is an afro-pop song which has a modernized traditional Niger-Delta style. It will definitely leave you spell bound.